The Chemical Guys Hand Pump is the perfect accessory for bulk buying car wash products and detailing chemicals. This hand pump threads onto every 1 gallon and half gallon container sold by Chemical Guys, and pumps 1 ounce of your favorite car wash soap, rubber and plastic dressing, wax, sealant, glaze, and even polish and compound with every stroke. Stop trying to pour or squeeze detailing products from one container to another. Buying your favorite detailing chemicals in bulk to save money is all lost as soon as you spill it all over the workbench or driveway. 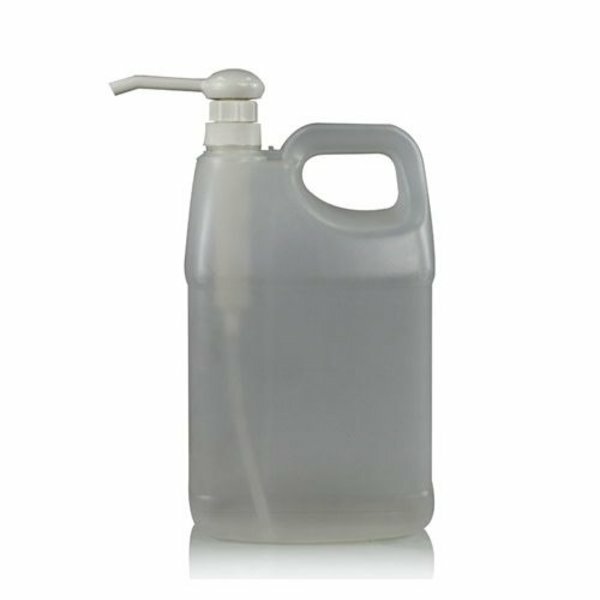 A simple push of the Gallon Hand Pump moves one ounce of your favorite product neatly and cleanly. 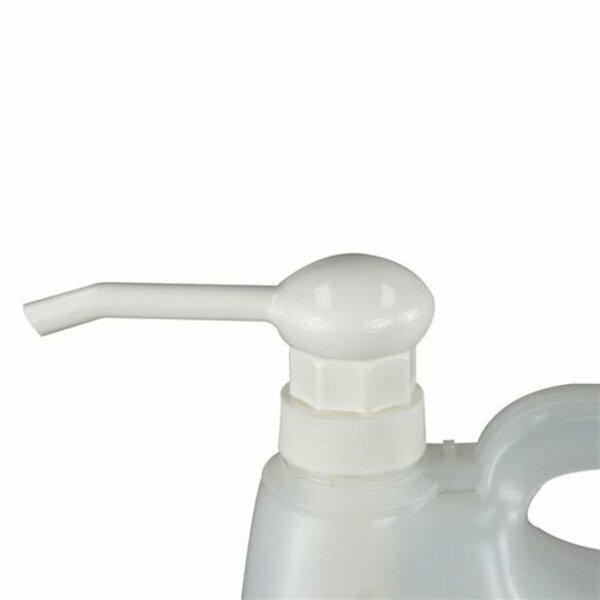 Use the Gallon Hand Pump to transfer your favorite products into smaller 16 ounce bottles for ease of use, or pump an ounce or two of your favorite car wash soap right into the Heavy Duty Detailing Bucket for a car wash. The durable construction of the pump breaks down into separate pieces so you can easily clean out the pump internals when switching it over to a different product. Corrosion-resistant plastics for the pump body and a stainless steel pump spring go the distance for years of dependable detailing use in any enthusiast garage or professional shop. The pump attaches to any square or round gallon container that uses a 38/400 thread type cap for easy use with bulk quantities of many manufacturer 's products. Don 't like using funnels or gallon squeeze tops to move product around? Attach the Gallon Hand Pump, and push all your problems away, one ounce at a time. The Gallon Hand Pump is the perfect accessory for every bulk buy container sold by Chemical Guys. The Gallon Hand Pump is the easier way to pump your favorite products out of our 1 gallon and half gallon containers into smaller bottles. The 1 ounce gallon pump dispenser fits perfectly to reduce spillage and fits the 38/400 threads on the Chemical Guys 1 gallon and ½ gallon containers. Use the full dispense straw for full gallon jugs, or trim to fit shorter ½ gallon jugs. This hand pump will also fit most gallon size jugs and any container with a 38/400 thread size. The Gallon Hand Pump fits one gallon natural HDPE and PVC round handle jugs and one gallon natural HDPE smooth square handle jugs. This precise pump dispenses one ounce of your favorite detailing product with every stroke, making measuring and diluting chemicals an easy and convenient process. If you like buying products in bulk to save money, save yourself some time and headaches with the convenience and accuracy of the Gallon Hand Pump. Pair up your Gallon Hand Pump with Professional Detailing Bottles for precise mixing and blending of your own custom-strength detailing product. Chemical Guys ships car wash soaps, heavy duty degreasers, and all-purpose cleaners at full strength. You can use them at full power to deal with the nastiest messes, or you can dilute them to clean up smaller bits of dirt and grime. Every pump from the Gallon Hand Pump dispenses 1 ounce of product. For a 16:1 dilution of a heavy duty cleaner like Signature Series Orange Degreaser, dispense just two pumps from the Gallon Hand Pump in a Professional Detailing Bottle, and fill the rest with water. Precise measurement helps you save product, save money, and save time from not having to clean something two or three times because your cleaning blend was too strong, or too weak. Need just one ounce of car wash soap in your 5 gallon bucket? Give it one pump! Want three ounces in your foam cannon to create the thickest car wash foam? Give three pumps in the soap solution bottle. Go all the way, don 't chose a half-measure: pick up the Gallon Hand Pump for precise measurement and distribution of product from any Chemical Guys gallon or 64 ounce container. The whole point of buying larger quantities of Chemical Guys products is to save money, so why would you risk spilling your favorite degreaser or tire shine dressing all over the place when pouring them into smaller bottles? It 's never fun to literally watch your profits go down the drain, so pick up a Gallon Hand Pump and easily move any Chemical Guys product without making a mess in your garage, driveway, work van, or laundry room. The Gallon Hand Pump threads onto any Chemical Guys 1 Gallon or Half-Gallon product jug, and cleanly dispenses one ounce with every pump. It 's the easiest, cleanest, and most-precise way to move and distribute your favorite products as you detail. 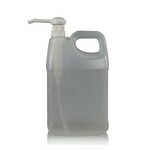 Pump product from gallons into 16 ounce bottles to save money by buying in bulk. Measure out single ounces of heavy duty cleaners and degreasers to make your own custom diluted blend in your Professional Detailing Bottle & Sprayer. One pump of Chemical Guys car wash soap is all you need to create mountains of thick slick car wash suds, and half a pump is enough tire shine to cover all four tires with a bright new look. The possibilities are endless, and your detailing results are sure to be more precise and clean with the Chemical Guys Gallon Hand Pump. The Gallon Hand Pump dispense 1 ounce of product per stroke. Use this as a measure when diluting, mixing, and blending your own custom strength cleaning and detailing solutions. Insert the straw into the bottom of the Gallon Hand Pump. Trim the straw to length when using the Gallon Hand Pump into a half-gallon jug. Hold the pump body and unscrew the pump handle counterclockwise until it springs up. Open your favorite gallon or half-gallon Chemical Guys product jug. Insert the Gallon Hand Pump into the jug and thread onto the collar. Every full press of the Gallon Hand Pump distributes 1 ounce of product. For compact storage, fully depress pump plunger, then turn clockwise until it locks in place. To disassemble the pump for cleaning, hold the pump body and unscrew the plunger base from just above the pump body bottle thread.